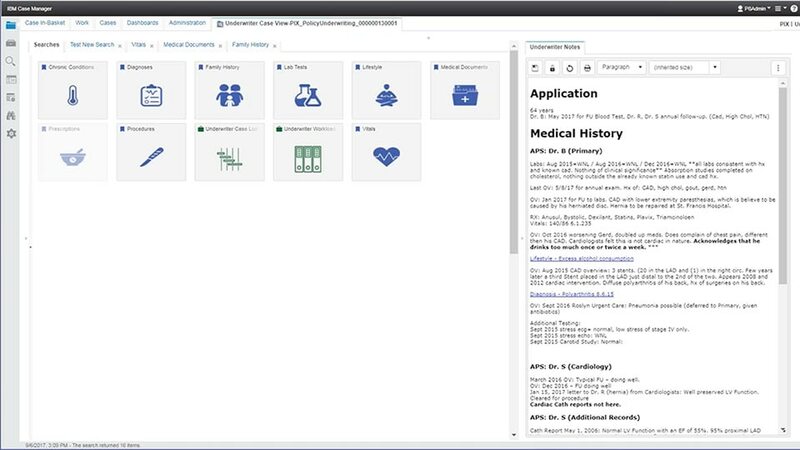 IBM Case Manager is a great tool – but what if you could do more with it? What if you could use plug-ins to improve your insight and make better decisions? Efficiency and speed are the names of the game for the Bookmarking Viewer. This high- performance document viewer loads small and extremely large documents and images at blazing fast speeds. Add document bookmarks that describe key information so underwriters, auditors or managers can click on the bookmark, read associated comments, and jump directly to the information they seek. Quickly finding key information will decrease your overall processing time and increase productivity. Users can easily see and understand content pertaining to each case with the interactive tabular case details and tasks displays. Users can group and sort case details or tasks to highlight ones of interest. Think of this as your case command center. It’s where users access all information related to a case such as actionable tasks, documents, and related cases. Employees can also view work-related attached documents, add comments or dispatch work without even leaving the page. Ever want to know what people said about a case? The comments feed does just that. Users can add commentary to every task, document or case. Take it a step further and merge all comments together to create a timeline of user correspondence. Stop wasting time searching. From a single interface, employees can search based on a document’s context - its title, folder name, tags, etc. It bridges repositories so you only have to search one time for what you’re looking for. Increase employee productivity by providing the ability to split, reassemble and merge documents together. Split/Merge is a way to create or correct documents, scanning and classification errors, and assemble document packages. To ensure security, users can set passwords on documents that will carry over from the source document. Instantly understand the nature of a document – its status, location and purpose within a process. Each tag has a predefined description and icon created by you! Provide users with a single reference point for all the steps and documentation necessary to complete any task within a process. Worksheets group prescribed checks, tasks, actions and internal comments to ensure no vital steps are overlooked. In addition, users are able to record actions and decisions taken to complete any given item giving managers increased visibility and control.